I am blowin’ this Friends of Friends showcase UP. You’ll notice that below this interview with showcase performer Groundislava, I’ve chosen FoF as THE show to see on the final day of Decibel Festival 2012 (The Baltic Room, 9/30, 21+). Here’s the FB event, if you plan on coming, invite your buddies. Now onto my conversation with Groundislava; covering the Feel Me album art, video game soundtracks and the vibe of his upcoming Seattle show with Shlohmo, LOL Boys, Salva and Lazy Brow. DD Hi Groundislava. What are you up to right now? GIL I’m watching some movie with Liam Neeson and eating soup, and answering these questions, of course. I’m feeling a little under the weather. 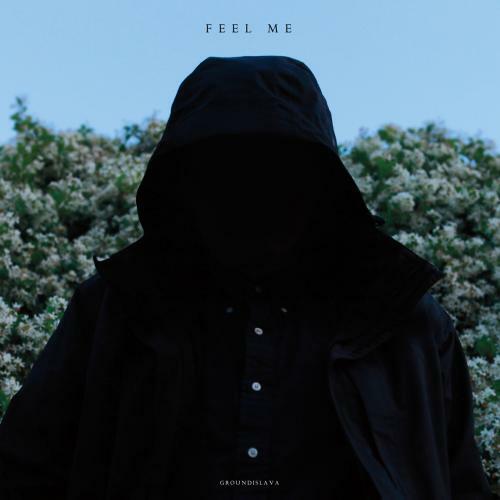 DD Congratulations on Feel Me getting its release. Who designed the rad artwork for this lp? GIL My brother designed all the art for this album, as well as my last LP and both my EPs. He’s a very talented visual artist. I’m working with him on a new music video as well. DD I haven’t been to LA since I was very little. If I were to come down to your area, where would we hang out and get food? From reading your Twitter, I take it we won’t be stopping by Whole Foods..
GIL Whole Foods annoys me because it’s really great and convenient, but its absurdly expensive. If you were here I’d probably take you to koreatown and we’d get some korean BBQ or tofu soup. Koreatown is probably my favorite part of LA to hang out in, as well. There’s lots of great places to drink or do karaoke or whatever. DD I’ve got your Soundcloud going while I play N64. It’s making my Super Smash Bros. battle a lot more emotional. What video game soundtracks stand out to you most? GIL There’s a lot of great ones that I’ve been interested in. And now, with youtube being what it is, I find so many more great songs and full soundtracks. I really enjoy the soundtracks for Bomberman 64 and Bomberman Hero, Chrono Trigger, Pilot Wings… there’s a lot more. DD Disco Droppings has chosen the Friends of Friends showcase as it’s top pick, for Decibel Festival 2012’s final night. For those thinking about stopping by your show, what’s the vibe going to be like?